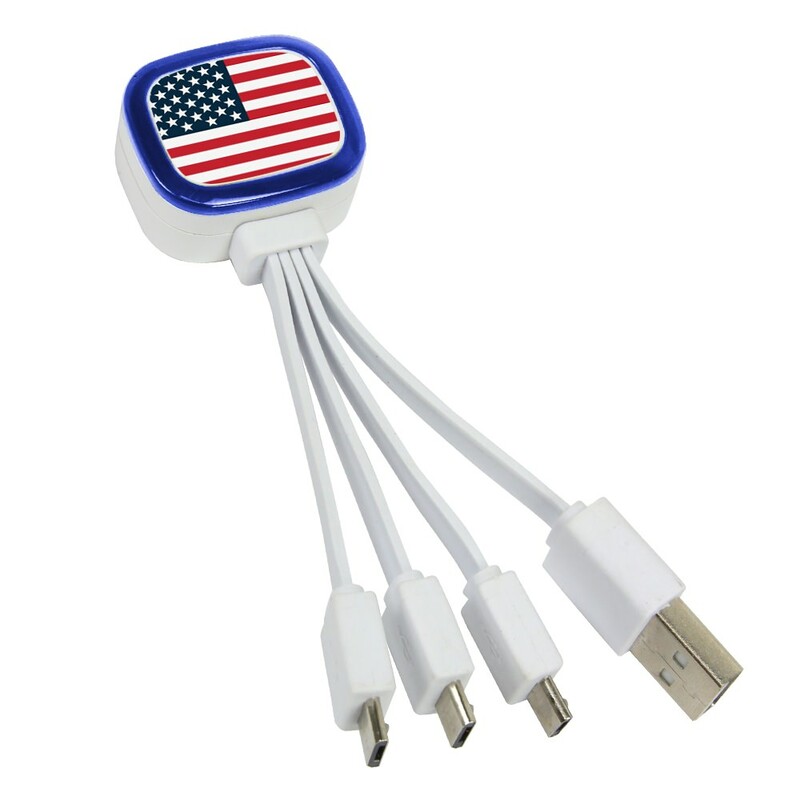 We hope you enjoy your new White USA Flag Tri-Charge micro USB cable! With your qualifying purchase, you are eligible to receive this wonderful gift, the gift of power! Easily recharge up to three devices at a time. This gift includes four plugs, one standard USB and three micro USB plugs. The white frame wonderfully sets off the beautifully printed American flag so you can feel as if you’re doing your patriotic duty each time you go to charge your phone!